Golf World opened its first location in North Ft. Myers in 1993. Locally owned and operated by Reed and Cindy Longo, the property was developed from a Pine Tree forest into a beautifully manicured practice facility. Voted the BEST area driving range by the Ft. Myers News-Press, Golf World Discount Shop and Driving Range offers instruction for all skill levels, putting greens, chipping green, and a covered hitting area to practice in the shade. The discount shop sells major name brands such as Taylor Made, Callaway, Titleist, Cleveland and many others all at discount prices. Free club fitting is available as well as custom built clubs on site to fit your ability and budget. Have your next set of clubs professionally fit for you by our trained professional staff all at discount prices! We are the ONLY discount shop in S.W. Florida that sells name brand equipment where you try before you buy on our lighted practice ranges. Have your club head speed checked and watch the full flight of your shots before you purchase your next set of clubs! A full golf repair shop that includes re-shafting, re-epoxy loose heads, and many other repairs. We have an extensive grip selection and offer next day re-gripping. We have state of the art Mitchell lie and loft machines to change lie and lofts on your irons. Stop by and have your irons checked today for FREE! 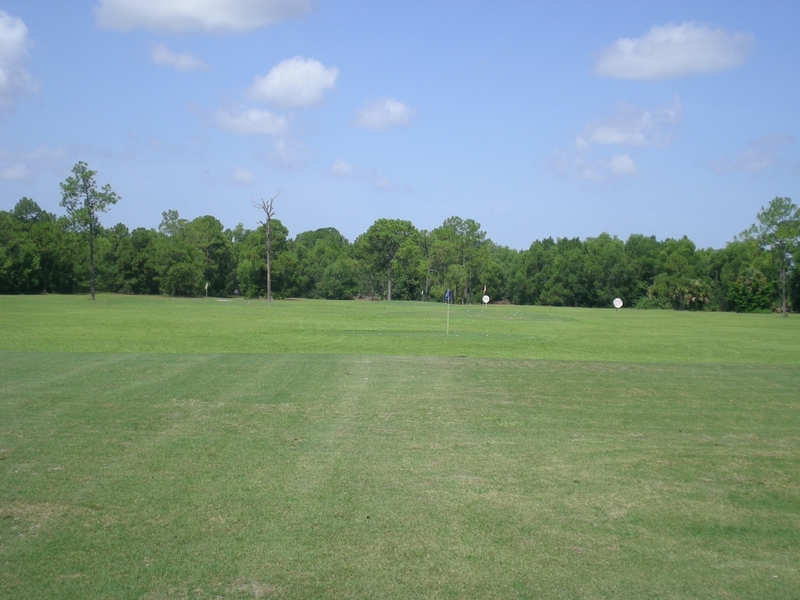 Golf Wold offers the Largest Grass Tee Practice Facility in S.W. Florida! On hot days, you can practice from under our covered pavilion. You may elect to hit from our artificial turf mat area, which provides you with an assortment of tee heights in order to practice with all of your clubs. You may also hit from a designated grass tee area if you so choose. The discount shop sells major name brands such as Taylor Made, Cobra, Callaway, Titleist, Cleveland and many others. we also have a full golf repair shop that includes re-shafting, re-epoxy loose heads, and many other repairs.